By shifting P. Chidambaram from Home to Finance the Congress leadership has signalled that it would rather have a politician take charge of the economy ahead of a crucial election than a technocrat like Montek Singh Ahluwalia or C. Rangarajan, both favoured by the Prime Minister. India was plunged into the Dark Ages not once but twice in two days because of the failure of the electricity grid that is already ranked by many as being the ‘worst in the world’. Everything ground to a halt. It was a minor triumph that the engineers managed to restore power with the speed with which they did. With the country 20 per cent deficient in rainfall thus far, the Centre has announced measures worth Rs 1,900 crore for the four worst-hit states of Maharashtra, Gujarat, Karnataka and Rajasthan. Haryana has got some relief to counter drinking water shortage. MERCIFULLY, the savage sweep of violence and arson in the Bodo areas of Assam has abated, and there are welcome signs of a slow return to normalcy in the ravaged region. This is due partly to Prime Minister Manmohan Singh’s visit to the spot, preceded by his firm instructions to the state government to bring the situation under control. But it would be a delusion to believe that peace has returned and the agony will end soon. Parents in India are obsessed with two achievements of their children: the percentage of marks gained by them in examinations and packages fetched by them on their placement. In competitive examinations every parent dreams of his child to be among the first few ranks. Despite knowing well that every child can’t be the topper, the dream and the competitive spirit don’t die. By shifting P. Chidambaram from Home to Finance the Congress leadership has signalled that it would rather have a politician take charge of the economy ahead of a crucial election than a technocrat like Montek Singh Ahluwalia or C. Rangarajan, both favoured by the Prime Minister. In the run-up to the 2014 general election it is not only important to lift the sagging growth to brighten the party’s victory chances but also mobilise resources for the UPA’s pro-poor, populist schemes. Though reports suggest another Cabinet reshuffle after the monsoon session of Parliament, indications are Rahul Gandhi’s “larger role” may be limited to the party itself. With Chidambaram as Finance Minister, the Prime Minister has put in place a team of like-minded reformers. Reforms, however, require a broader political consensus. The BJP may persist with its corruption charges to target Chidambaram and try to create a rumpus in Parliament. By first picking up Chidambaram to head the ministerial group on spectrum allocation and then making him Finance Minister, Dr Manmohan Singh has rebuffed the main opposition party. Chidambaram, being a hard taskmaster who thoroughly knows his job, will accelerate administrative work and may reverse investor-unfriendly measures initiated by his predecessor. Leaving much of India groping in dark for two consecutive days at the end of his term as Power Minister, Sushil Kumar Shinde will be keenly watched for any slip-up in the powerful Home Ministry. Though Chidambaram courted controversy when the Telangana demand was conceded, Anna Hazare was arrested and Baba Ramdev followers were lathi-charged, his term witnessed fewer terror attacks in India. From a police Sub-Inspector to the Chief Minister of Maharashtra to India’s Home Minister, Shinde has come a long way. His friendly nature may, perhaps, help him succeed, where PC could not, in building a consensus on the National Counter Terrorism Centre (NCTC). His promotion, however, may rattle senior NCP leader Sharad Pawar, whose recent political posturing has earned him no better position. Meanwhile, whatever Veerappa Moily’s capabilities are, the Power ministry is too important to be treated as an additional charge, especially after the latest fiasco. India was plunged into the Dark Ages not once but twice in two days because of the failure of the electricity grid that is already ranked by many as being the ‘worst in the world’. Everything ground to a halt. It was a minor triumph that the engineers managed to restore power with the speed with which they did. The real issue, however, is that the grid should not have failed at all. The immediate cause of the failure is probably irresponsible overdrawing by various states, especially the northern states, but along with it is the fact that the National Regional Load Dispatch Centre failed to pull the plug on states that were acting irresponsibly, and thus endangering the stability of the power supply of the nation. Mr Veerappa Moily, who has just been given an additional charge as Power Minister, has to move quickly. He must assign responsibility for this massive outage and also find ways to prevent future problems. There is no doubt that the nation has missed all the capacity generation targets it set for itself since the 1950s. As a result, there is a shortage of around 9 per cent in peak power supply. This can be offset if the transmission losses, often attributed to power theft, are cut down from the present 27 per cent. This, however, needs political will and efficient enforcement by various power boards. State power boards are often politicised and are no longer professional bodies. As a result, they take populist decisions, which further exacerbate the situation. They overdraw their quotas, and the Central Electricity Regulatory Commission has proved toothless in reining them in. The body should be given more powers to give punitive punishment to defaulters and irresponsible boards. There are many thermal power stations which do not have coal because the boards that run them have not paid their bills. As a medium-term measure, steps must be taken to ensure proper supply of coal so that these thermal power stations can help generate electricity, more of which is needed because of what appears to be a failed monsoon this year. In the long run, various stalled power projects, including nuclear power plants, must be made operational on a war footing. Bringing electric power back on the grid will take vision, determination and sustained effort. It must be done lest the developing nation that is India should plunge into power failure yet. With the country 20 per cent deficient in rainfall thus far, the Centre has announced measures worth Rs 1,900 crore for the four worst-hit states of Maharashtra, Gujarat, Karnataka and Rajasthan. Haryana has got some relief to counter drinking water shortage. Even as the Met office and the government debate whether it is a “drought year”, remedy for some of the poorest farmers may be too late. As the monsoon may pick up in August, alternative crops could be sown, but seed and other inputs for those have to be arranged in time, and the states have to know what aid is coming. Rain-fed farmlands (60 per cent in India) are hit the hardest, and they usually also serve the poorest of the farmers, who grow food for personal consumption. Punjab and Haryana are two unique states. Their crop yield practically remains unaffected even in a drought. The reason is artificial irrigation. But with the country in a power crisis, tubewells have to be run on diesel, and that inflates the bill. The result is a proportional cut in the farmers’ income, but it does not become an existential issue for them, as in many other states. The states’ majority contribution to the national grain pool also ensures the country’s cereal stock remains in the safe zone despite the drought. Compensation for these states — which is most likely on the way, as for the 2009 drought — can thus be assessed even at the end of the monsoon. Only uninterrupted supply of diesel has to be ensured, extra power being a non-option. Hard times are also times to ponder. With the MSP system serving Punjab and Haryana reasonably well, the states have only been giving lip service to diversification. If they would just replace paddy with alternative crops — such as vegetables, which pay even better — drought would have little meaning in the two states. And that does not require policy intervention from the Centre, but hard work on developing markets and educating farmers at the state level. Food inflation today is not on account of cereals, but oilseeds and perishables, which diversification can well deliver — a point for the Centre. MERCIFULLY, the savage sweep of violence and arson in the Bodo areas of Assam has abated, and there are welcome signs of a slow return to normalcy in the ravaged region. This is due partly to Prime Minister Manmohan Singh’s visit to the spot, preceded by his firm instructions to the state government to bring the situation under control. But it would be a delusion to believe that peace has returned and the agony will end soon. The bitter truth is that the trust deficit between the two sides to the seemingly endless conflict is huge, and the sense of deprivation among the people in the Bodo-controlled districts around Kokrajhar acute. As in other tribal societies the call for vengeance there is compelling. Even so, the Prime Minister was right to emphasise that the first priority at present must be the rehabilitation of the hapless victims who are languishing in make-shift relief camps, and he has given Assam a package of Rs 300 crore for this purpose. Yet even this initial task is stupendous for several reasons. In the first place, the number of those rendered homeless is officially said to be 200,000; actually it is much more. Secondly, not only their homes but also all their worldly possessions have been razed to the ground. Every eyewitness account or subsequent investigative report is chilling. In many villages, the Bodos that are Hindus or Christians and the Muslims, whether indigenous or illegal immigrants from Bangladesh, lived on opposite sides of a road. At present no one lives there. To rebuild burnt down houses would take time. Dr. Singh, who visited two relief camps – one for the Bodos and the other for Muslims – has promised that after the restoration of normalcy “in a few days”, he would order a probe into the “trigger” for the clashes. “If the conflict has been instigated, the guilty must be punished”. The question, however, is how long would the inquiry take and whether its findings would not meet the same fate as the reports of other such inquiry commissions, including the Srikrishna Commission that investigated the 1993 serial blasts in Bombay after the demolition of the Babri Masjid, did. It is against this backdrop that some painful questions about the failure of state and central governments to foresee and forestall the latest outrage arise. Disturbances of this magnitude do not take place in a vacuum or as a result of a stray incident. Those hell-bent on sparking them, for whatever reason, take care to make the prevailing atmosphere combustible. Rumour mongering and vile whispering campaigns are their effective instruments. An impressive number of observers of the Assam scene have asserted repeatedly in recent days that almost everyone knew what was cooking in the Bodoland cauldron and that riots were coming. Only the state government and Chief Minister Tarun Gogoi seemed to be unaware. Even if this charge is dismissed as unfair, as Mr. Gogoi has done, there is no satisfactory explanation for the dangerous delay in taking corrective measures even after trouble had erupted. At the beginning of July two Muslims were murdered one day and two others a day later. As was only to be expected, four Bodos, all of them members of the militant and banned Bodo Liberation Tigers (BLT), were done to death on July 6. Yet, until July 20th when the reign of violence and arson assumed alarming proportions nothing was done to avoid it. For this the Chief Minister’s apologia is worse than his failure to do his duty. For he said publicly that the Centre had taken away a large part of the para-military forces stationed in the state and New Delhi had also delayed the dispatch of the Army after he had asked for it. Around the same time the Prime Minister had telephoned him to give him specific instructions, while spokespersons of the Union government had refuted Mr. Gogoi’s complaints. This curious drama — a poor reflection on the relationship between the Congress’s Central leadership and the handful of chief ministers belonging to the party – has had a curiouser denouement. When asked about his accusations against the Central government in Dr Singh’s presence, the Assam Chief Minister snatched the microphone of one TV channel and screamed: “I never said so”! This said, the Union government must also squarely face its share of blame for the negligence in Assam, not to put it more strongly than that. It is duty of the Central intelligence agencies to keep a sharp vigil on all the internal conflicts that are a threat to national security. In the present case this did not happen. A strange explanation for this is that the agencies concerned concentrate on threats from Naxalites and terrorists, foreign or homegrown, and tend to ignore communal and other threats. One reason for this is that since Gujarat 2002 there has been no major communal violence in the country for a decade, and the agencies have become rather complacent. A laughable subtext of this is that a lot of time has been wasted in the fatuous debate whether the Assam riots were “communal” or “ethnic”, as if one or the other is less injurious to national unity and security. The truth is that the killings in Bodoland have both communal and ethnic dimensions and therefore should be considered doubly subversive. Alas, this is not how the Congress and the BJP look at the problem. Every problem, whatever it may be, immediately becomes a slugfest between the two mainstream parties, each side pronouncing the other worse than itself. Over Assam the BJP holds the Congress complicit in illegal immigration from Bangladesh for the sake of “vote-bank” politics. The Congress alleges that the saffron party is misusing the issue to target Indian Muslims. Neither realises that preventing any further change in Assam’s demography is more important than scoring debating points. The plethora of small arms in the Bodo areas, which no one has done anything about, complicates the problem immensely. So does the relative prosperity of the areas under BTC that has attracted Muslims from adjoining areas like Dhubri to Kokrajhar, thus reducing the Bodos to a minority in the region administered by them. Finally, the heading of this commentary is the exact translation of the Prime Minister’s remark in Hindi. His duty now is to remove this blot completely and for good. High marks and ranks are now linked to the social standing of parents. “What face shall we show to the people if you don’t get a good rank?” is what parents often tell their children preparing for a stiff competition, adding to their stress. Telling a rank or percentage much higher than is actually achieved by a child has also become common. The package scenario is no different. A matrimonial advertisement is not complete unless it mentions the package of the prospective groom or bride. Packages have also given birth to a new abbreviation “Lpa” for lakhs per annum. Every matrimonial advertisement carries this abbreviation without explaining its meaning, knowing well that the reader will understand it. Packages too are now linked to the social status of people and matrimonial “value” of their children. Inflated packages are often quoted, howsoever meager the in-hand emoluments may be. During campus placements, the biggest question on the minds of students is the package being offered by a recruiter. Students recruited by MNCs and placed outside India are offered packages in dollars, pounds or euros. However, they proudly convert them into Indian rupees to tell everyone some astronomical six or seven-figure sum. Many people boasting of big packages their children get begin to fumble when asked about the “salary in hand”. It sometimes amounts to less than 50% of the package. All type of expenses that companies incur, including that on stationary, training of employees, excursions etc, are credited to the package one gets. Packages cause conflicts also. I remember an incident when a boy and a girl working in the same company got married. The girl got a hike, her package became better than the boy’s. The seed of differences was sown and the inevitable happened when she became the boss of her own husband. Soon, they had to bid goodbye to each other. Even children are aware of the word. A teacher told a KG student, “Count 1 to 10 and I’ll kiss you”. “What package do you offer if I count up to 100?” the child asked. Neonatal and premature infants, who have underdeveloped lungs/organs. Delay in treatment of cold, cough and viral infections. Excessive exposure to pollution, tobacco smoke etc. Delay in monsoons and fluctuating temperature have triggered a spate of respiratory infections. 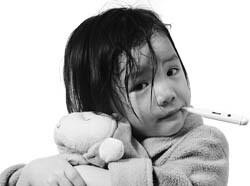 Often, an untreated ailment such as seasonal cold, cough or fever, especially in children with poor immunity, can worsen and lead to pneumonia. Our lungs are designed to cough out the pockets of mucus before an infection sets in and pneumonia can even occur if any regular cough or cold worsens. The mucus secreted in the lungs is a breeding ground for bacteria and viruses and when they start to multiply it leads to an infection causing respiratory distress. Five-year-old Sheetal was suffering from high-grade fever and slight discomfort in the right side of her chest. Without wasting time her parents decided to consult an expert. On examining the child, the doctor realised it was a case of pneumonia but to reconfirm the diagnosis a chest X-ray was done. Sheetal was one of the few children who benefited from timely diagnosis and treatment. Today, she has recovered completely and is a healthy child. Two-year-old Preetha was not as fortunate. Her parents gave her homeopathic medication and wasted four precious days before they consulted a doctor who put her on antibiotics. When there was no improvement in Preetha's condition, her parents brought her to an expert. By then, she had developed pus in her right chest (pleural cavity). She had to be hospitalised and underwent extensive pneumonia therapy. The child recovered after a two-week stay in the hospital. But it was a huge financial burden on her parents who were unaware that this episode was completely preventable if Preetha had received the pneumonia vaccine. Don't stay in wet clothes for long. Do not dry off under the AC. Avoid exposure to frequent temperature change. Seek immediate medical help on experiencing symptoms like high fever, congestion in chest and difficulty in breathing. Timely medical intervention could prevent pneumonia. Pneumococcal vaccine can protect against the disease. Merely getting wet in the rains does not cause pneumonia. External factors such as a damp environment contribute to the growth of bacteria or viruses that cause viral and bacterial infections in children. Unhygienic living conditions, unclean surroundings, pollution, hot and humid weather etc. make children more vulnerable to bacterial and viral infections. Many parents do not realise that pneumonia is an acute respiratory disease affecting the lungs caused by multiple viruses, bacteria and fungi that are commonly found in a child's nose or throat. These may also spread via air-borne droplets from coughing or sneezing and can easily enter the body making it difficult to breath. Cough and fever accompanied with fast and uneasy breathing pattern. Antibiotics — aid in fighting the bacterial infection. Nebuliser to relieve the respiratory distress. Intravenous fluids to rehydrate the child. Ensure your child has received the vaccine for pneumonia. It is mandatory for infants to be immunised against pneumonia such as Haemophilus influenzae and pertussis (whooping cough). It also prevents pneumococcal infection, which is again one of the most common organisms responsible for ear, sinus infection, pneumonia and meningitis. A vaccine is definitely recommended for children at high risk, which includes patients with chronic liver disease, chronic renal failure and nephritic syndrome, diabetes mellitus, congenital immunodeficiency, sickle-cell disease, chronic lung and heart disease. To a child less than six months' old, a total of four doses of vaccine are administered. For a child who is between six months and one-year-old, three doses are required. If the child is older than one year then two doses of the vaccine are required. Besides administering the vaccine, a strong immunity is the best way to ensure that your child is strong enough to fight infections. It is a known fact the diet should be balanced and rich in carbohydrates, proteins, calcium, minerals and vitamins. It should have fresh fruits and vegetables, cereals plus milk, curd, eggs and paneer as part of a child's daily intake. Keeping the child well hydrated is an important part of the diet. Breastfeeding for the first six months' of life improves an infant's natural immunity. It is scientifically proven that mother's milk contains immunity-building antibodies and white blood cells. The older kids should drink plenty of fluids like coconut water, fresh fruit juices, milk shakes, butter milk etc. Most pneumonia deaths are caused by bacteria such as Haemophilus influenzae type b (often known as Hib) and pneumococcus. Viral pneumonia is self-limiting in 90 per cent of the cases. However, the fatality rate is high for the remaining 10 per cent caused by bacterial pneumonia. Immunisation against vaccine-preventable diseases like measles, whooping cough (pertussis), Haemophilus influenzae type b (Hib) and pneumococcus can help in effectively preventing pneumonia. The latest pneumococcal conjugate vaccines (PCV) available in the market are highly effective as they cover serotype 19A, which has globally emerged as a leading cause of pneumococcal disease in children less than five years of age. It is very unfortunate that so many infant deaths occur in our country because of pneumonia. If the pneumococcal conjugate vaccine is included in the national immunisation programme, it would greatly bring down the child mortality rate. Keeping environment clean and hygienic is vital, too. Maintain a dust-and-mite free house, especially if there is space constraint. Parents should avoid smoking in the presence of children, inhaling smoke could impact your child's lungs. Make sure your child washes hands before eating. These simple steps will reduce the number of children falling prey to Pneumonia. A recent report released by Lancet in 2010 states that pneumonia accounts for 14 per cent of child deaths worldwide and an additional 4 per cent child deaths globally are attributed to neo-natal pneumonia. Only about half of the children suffering from pneumonia receive appropriate medical care and less than 20 per cent of children with pneumonia receive the necessary treatment of antibiotics. Hence, it is important that an upgraded vaccine is used to prevent pneumococcal disease. Pneumonia kills more than 4 million people every year globally — half of these deaths occur among children under five years of age. Pneumonia is a disease responsible for the largest number of deaths worldwide in children under five. Most children, who die of pneumonia, live in developing countries. India accounts for almost 40 per cent of worldwide childhood pneumonia cases. Successful treatment of pneumococcal infection relies on the infection being caught and treated early with antibiotics. Unfortunately, incidence of penicillin and multi-drug resistance is increasing across all countries. Antibiotic-resistant pneumococci are an increasing global problem. Vaccines that can prevent pneumococcal infection are available, and they have been used with great effect in children in many countries. India is among the countries where GAVI Alliance (Global Alliance for Vaccines and Immunisation) is willing to subsidise the cost of the vaccine so that it is affordable to the vast majority of people. According to the World Health Organisation (WHO), pneumonia kills more children than any other illness — more than AIDS, malaria and measles combined. Pneumonia and diarrhoea still account for more than one-third of child deaths, including neo-natal deaths. The WHO 2010 report says that there are approximately 155 million cases of childhood pneumonia every year in the world that result in the death of an estimated 1.8 million children under the age of five years. This is of particular concern to India where the under-five mortality is 69 per 1,000 live births and nearly 4,10,000 Indian children die annually from pneumonia alone. The number has risen sharply in the last two years and is now at about 8 per cent this year, according to a survey by paediatricians, based on a WHO report. Only about half of children, sick with pneumonia, receive appropriate medical care and less than 20 per cent of children with pneumonia receive the necessary treatment of antibiotics. Vaccination is therefore the best cost-effective measure for vaccine-preventable diseases like pneumonia. In fact, the WHO has identified the inclusion of Pneumococcal Conjugate Vaccine (PCV) in the national immunisation programmes as a priority, particularly in countries where the mortality rate of children under five years old is more than 50 per 1,000 live births, or where more than 50,000 children die annually. India is an ideal candidate for inclusion of PCV in the national immunisation programme, as with under-five mortality of 75 and annual death burden of more than 2,00,000 under the age of five years, it meets with both the above criteria.